I'm afraid of my compost bin. It hasn't always been this way. The day our compost bin was delivered to the house by our refuse company I was quite excited about it. I'm quite conscious about recycling and reusing. I recycle everything that can be recycled in our home. I even save and wash out the smaller glass jars - painstakingly peeling off the labels - to give to my grandmother, who is a passionate and prolific jam-maker. 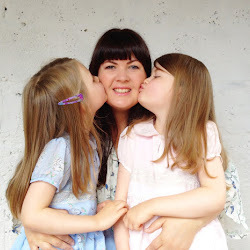 I regularly haul our old, worn clothes and electricals to the big recycling centre at the edge of town and donate anything decent we no longer need to charity shops, so someone else can lengthen their life. Devo and I are also both very conscious about not buying too much food and it is rare for overripe fruit or sad vegetables to end up being thrown out, unused. 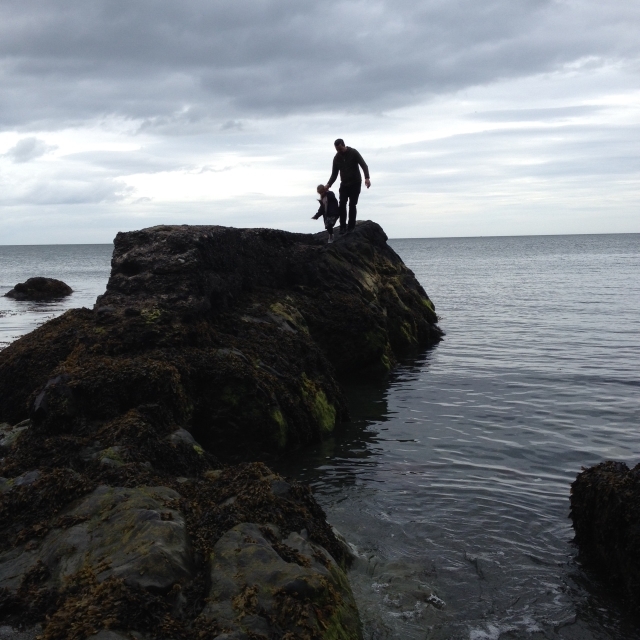 But however careful we are about all of the above - there will always be things like eggshells and potato peels and apple cores and those little nubs from the ends of carrots and the leftover cereal from when we were late and dashing out the door that day (everyday). It always seemed a shame to be throwing food waste in with the general waste of the house when I knew it too could be 'recycled'. 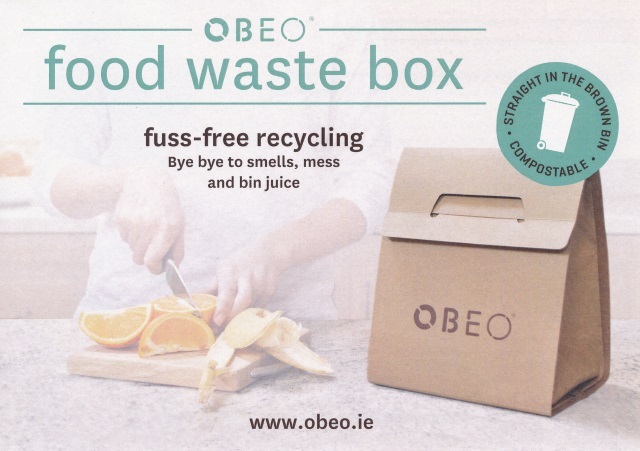 Then I got a lovely message from Liz and Kate, the fabulous ladies at Irish startup OBEO who offered me a trial of their nifty invention - The Obeo Food Waste Box and I have to say it was a revelation. It's a really clever design that really works. It’s easy-to-use, sturdy, and holds up to 2kg of food waste. It’s water-resistant, closes tight so it keeps those nasty smells locked away and manages to do all of that while actually looking attractive on your kitchen counter! Obeo, looking attractive on my kitchen counter. 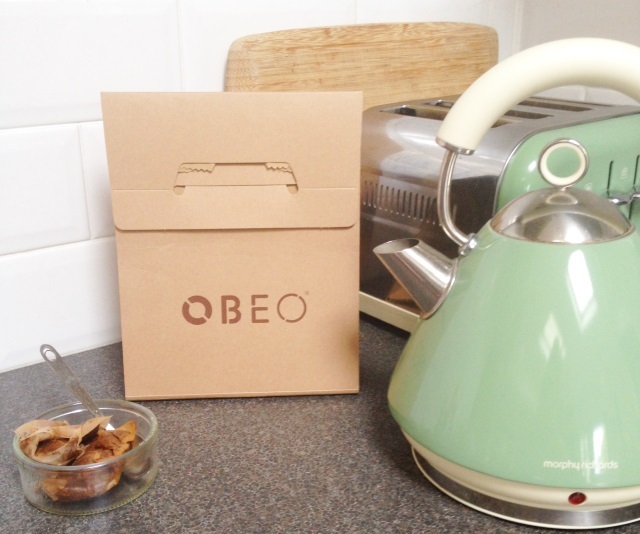 With Obeo - it’s bye bye to smells, mess and bin juice, and hello to fuss-free recycling. I'm now happy to report I'm taking my 'brown bin' out of (very early) retirement and proudly making our planet a better place to be. One little brown box at a time. Kate and Liz have also very generously offered Where Wishes Come From readers a special 10% - 25% discount on a selection of Obeo packages. Click HERE or on the image below to find out more or use the exclusive coupon code wishes at checkout. I do hope you'll give them a try - not only will you be supporting the planet, but you'll be supporting a home-grown company too! It's the quickest way to smug-city ever! Great competition, pick me! I detest the compost bin!! Glad I'm not alone! Best of luck! !